Why don’t shark attack lawyers? Professional Courtesy! "Bandavaalavillada badayi " loosely translates to "Bluffing with no bounds", The central character of this play is Ahoblu Rao, a practicing lawyer who is, practice challenged. While his limited courtroom success partly explains his living condition, his is a story affected by a no-nonsense wife, getting nowhere son, assistants who expect to be paid for their services and clients who don’t expect to pay. The drama gently portrays the fragility of self-esteem of an individual driven by pressures from peers, spouse and society at large. The play was presented by the group RangaTantra under Mahadev Prasad’s direction. The author of this play T P Kailasam is a legend amongst Kannada writers. Although his literary works are Kannada based, he perfected a unique style of humorously interlacing English words with Kannada. The rich tapestry of play form has been appealing to a wide diversity of audience. This rib tickling comedy entertainer was showcased on November 27th at K H Kala Soudha (Kengal Hanumantiah Kala Soudha) situated in the same compound as Sri Ramanjaneya Temple at Hanumanth Nagar, Bangalore. Peace and harmony are the overriding themes in two different forms of art- painting and dancing, seen in the city recently. Much has been spoken in the last month about Child Sexual Abuse (CSA) following some incidents in several schools. What can you do to safeguard your child from it? 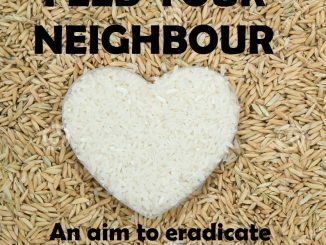 If every home in Bengaluru cooked an additional meal, would it ensure that the hungry don’t go to bed on an empty stomach? Here’s a community initiative that’s looking to do just that.